1. Cook orzo according to the package directions. Drain and run under cold water to cool. 2. Meanwhile, in a large bowl, combine the oil, vinegar, red pepper, ¾ teaspoon salt, and ¼ teaspoon pepper. Add the zucchini and let marinate, tossing occasionally, for 20 minutes. 3. 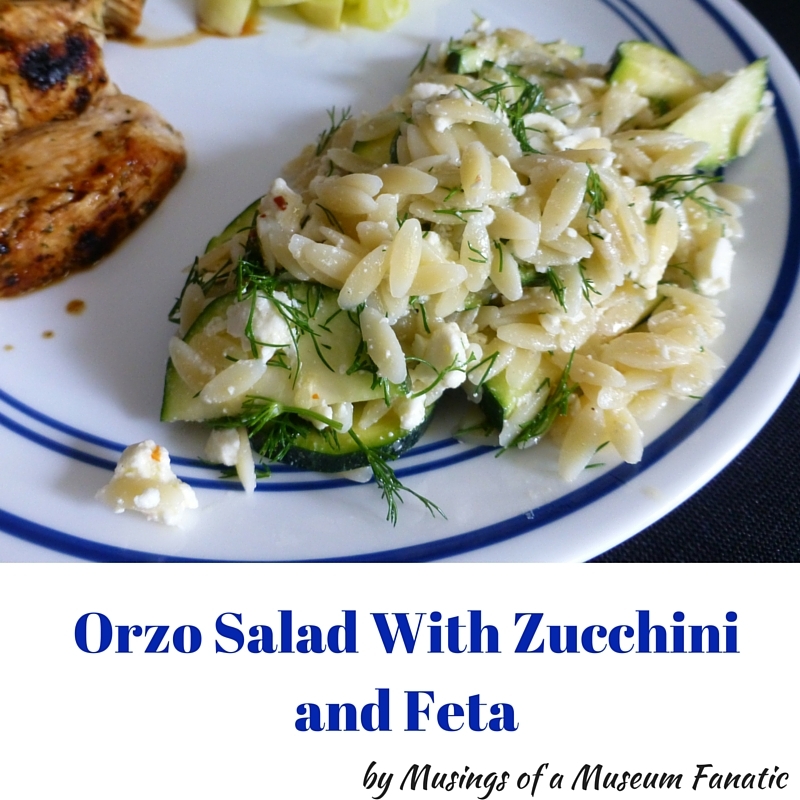 Add the orzo, Feta, and dill to the zucchini mixture and toss to combine.